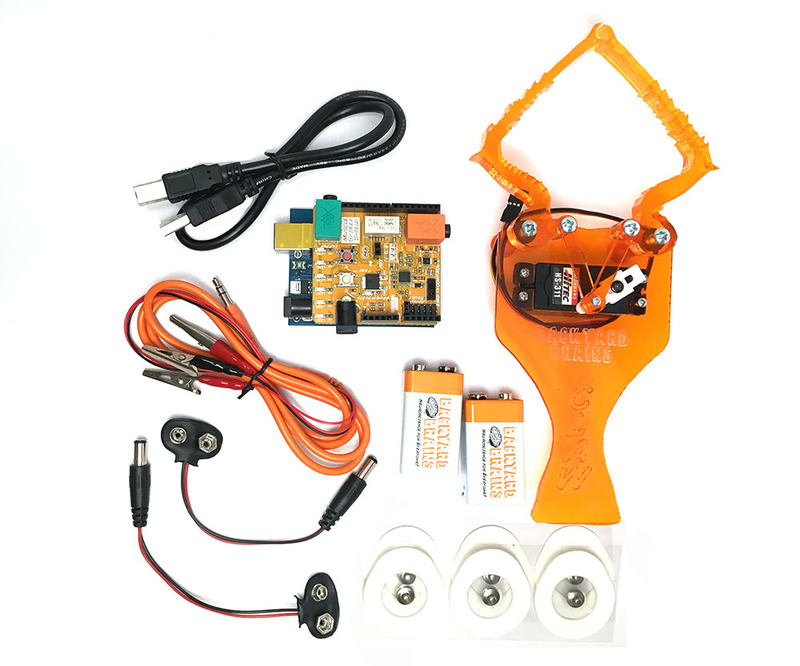 Control a Robotic Claw with your own Brain Machine Interface! Jealous of the cyborgs you see in the movies? Wish your brain could send signals to robotics devices? Your days of yearning are over. 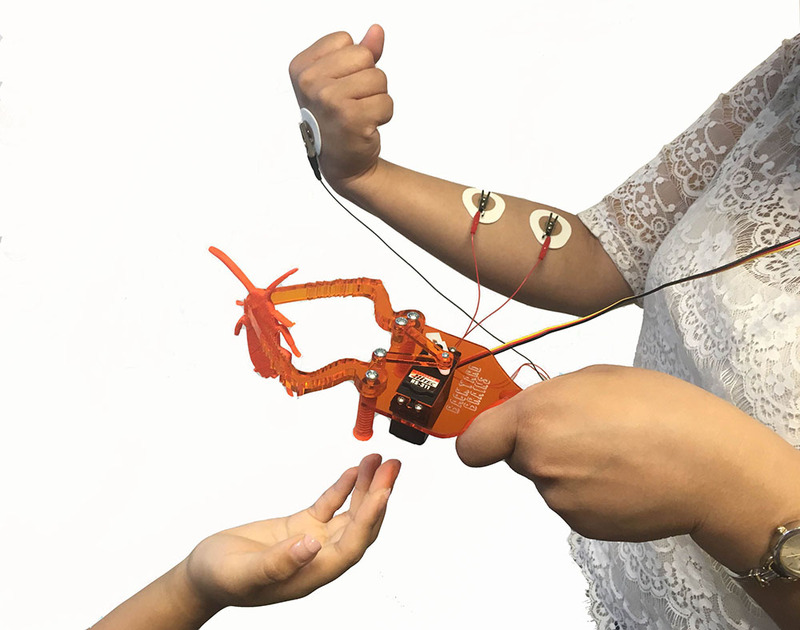 Backyard Brains introduces "The Claw", your very own DIY neuroprosthetic. 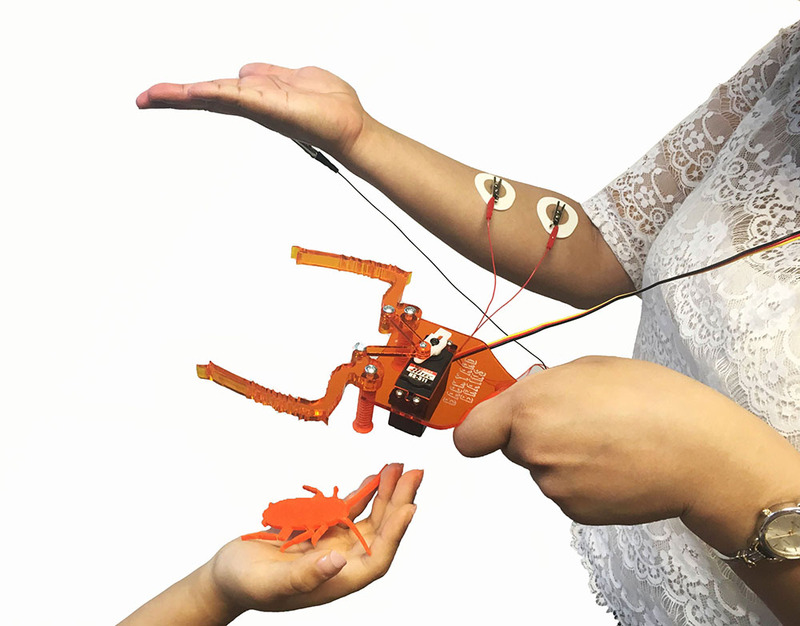 Experience the future of robotics with Backyard Brain's The Claw, a motorized gripper that makes it possible for YOU to be the innovator of human interfaces! 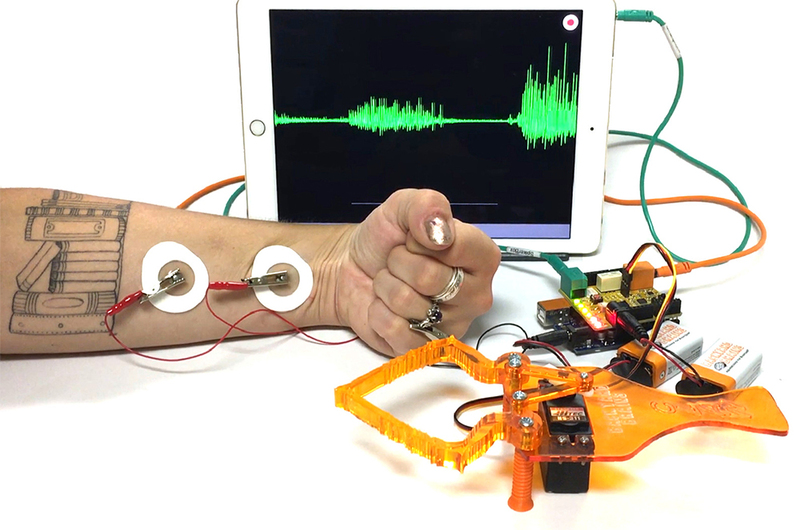 Paired with a pre-loaded Arduino microcontroller, the Claw responds to the EMG signals of your muscles. Make a grip with your fist, the Claw's appendages closes. Relax and the claw relaxes, or vice versa! 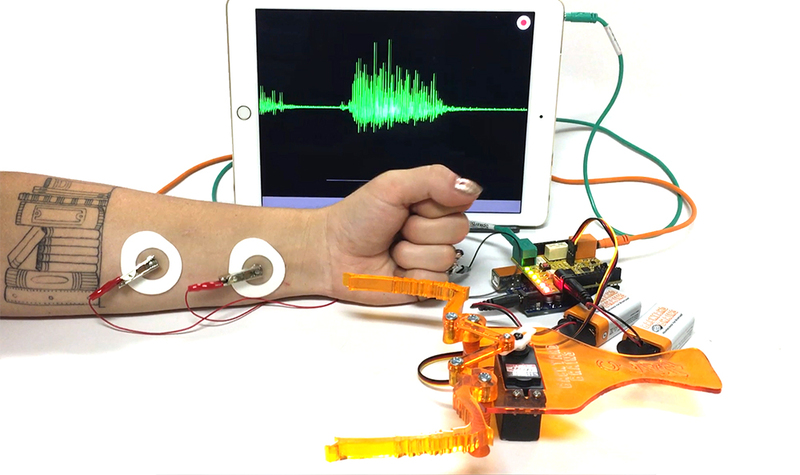 The bundle includes everything you need to start understanding the field of neuroprosthetics with the help of our Muscle SpikerShield, as we've added great additions such preloaded code into the microcontroller to maximize the potential of your experiments! First, stick skin electrodes on the muscles that exhibit contraction and relaxation. Then connect the Claw to the Muscle Spikeshield and then your setup is complete! You can adjust EMG sensitivity readings to on the MuscleSpiker Shield to accommodate all types of muscles. The Claw Interface in Action!